There is a small aquatic plant, called duckweed, that can expand from a few small leaves and take over the entire surface of your aquarium in a matter of months. While many fishkeepers will argue that duckweed has its place — in moderate amounts, it can help keep your water clean — too much of it can be a serious problem. Unfortunately, debt can be much like that prolific plant; what starts as a little helpful debt can quickly grow well beyond beneficial levels. But while duckweed can be controlled with a handy net, debt relief may often require a little outside assistance for the best results. For some consumers, getting out of debt can be a simple matter of tightening the budget. For others, finding relief from growing debt means finding a professional to help them design the best debt management plan. Although a number of factors will contribute to your choice of debt relief company, the type of debt relief you need may play the biggest role. Some companies may specialize in counseling or consolidation, while others may have more experience with debt settlement or bankruptcy. Our top-rated picks below can be a good place to start your search. When it comes to your finances, it’s important to thoroughly research any help you intend to enlist. You may begin by checking online reviews from industry experts and previous customers, but that shouldn’t be the end of your research. You should also investigate potential debt relief companies through other important parties, like the Better Business Bureau, your local consumer protection agency, or the state Attorney General. Beware of any debt relief companies that make promises about your debts. For example, avoid companies that guarantee they can absolve you of your debt or that promise to stop all debt collection calls and lawsuits. You should also we wary of doing business with debt relief companies that charge fees before you enter a program or that pressure you to enter a program without providing any information about their services or reviewing your financial situation. Although the US federal and state governments often provide a number of programs designed to help those with low incomes and/or bad credit, debt is, unfortunately, something you’ll likely have to handle without government help. That’s because few government debt relief programs exist at the national level, and state-run or sponsored programs seem to be equally few and far between. In general, if your debt is from credit cards or personal loans, you’ll likely need to stick with civilian programs and companies. If your debt problems involve student loans or a home mortgage, however, you may have some options. 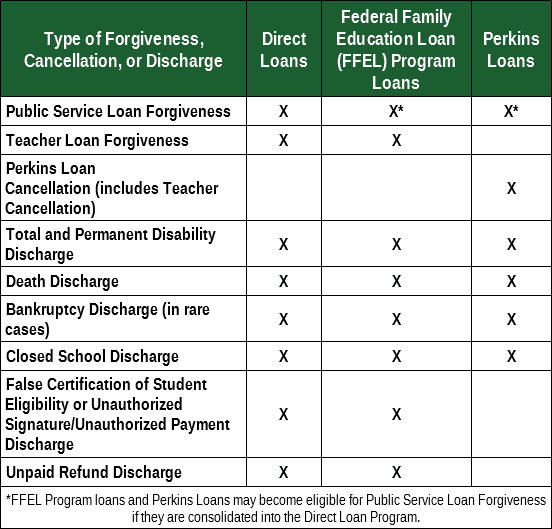 For instance, some student loans can be forgiven, canceled, or discharged under specific circumstances, such as loan forgiveness for working in public service or as a public school teacher. When it comes to mortgage debt, you may find a little help from the government through the Home Affordable Refinance Program (HARP). Keep in mind there are specific qualifications for HARP, such as being current on your payments. An easy way to fall victim to a debt relief scam is to dive into the process without first educating yourself on some of its key aspects. If you don’t know the different types of debt relief, for instance, you can’t know if a proposed plan is really the best way to go — or simply someone looking for a payday. 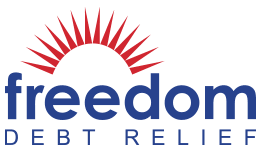 The type of debt relief you need will depend wholly on your individual financial situation, so the first step any debt relief company should take is to go over your situation with you. These consultations are generally free, though some companies may require you to purchase your credit report(s) for a more in-depth evaluation. For cases in which you simply need a hand getting back on track, debt counseling may be the best solution. This may consist of advice and assistance with setting up a sustainable budget as well as going over important money management skills. The next level of debt relief will usually involve debt consolidation, which is the process of using a new loan to pay off several smaller debts, such as balances across multiple credit cards. Ideally, consolidation will net a lower interest rate, which can reduce overall monthly payments. If negotiations and consolidation fail to produce results or are simply not options, then debt settlement may be a viable choice. In essence, debt settlement involves negotiating with creditors to pay off your debt as a lump sum, ideally for less than you really owe. Usually, debt settlement will require you to make regular payments to the settlement company that are set aside in a special savings account. Once you have saved enough to reasonably settle with your creditors, the debt relief company will contact them and attempt to negotiate a settlement. Although debt settlement can potentially result in getting rid of your debt for less than you owe, it can do a sizable amount of damage to your credit score. This is particularly true if you stop making payments on your debts while saving for settlement. If other methods of debt settlement fail, the last resort is usually bankruptcy, which is the only real way to erase debt. But, for emphasis, bankruptcy should be the last resort for dealing with debt. Not only does bankruptcy come with fees and other out-of-pocket costs, but it can also have significant credit impacts that last for up to 10 years. Chapter 7 bankruptcy can also result in the forfeiture of valuable assets, including property. Furthermore, only certain types of unsecured debt can be absolved through Chapter 7 bankruptcy. If you have secured debts, student loans, back taxes, alimony payments, or other types of non-dischargeable debts, bankruptcy is unlikely to be a source of debt relief. It’s often surprising how quickly little things can develop into big problems. A few leaves of duckweed can carpet an area in the seeming blink of an eye. And a few credit card charges can grow into thousands in debt before you know it. Unfortunately, getting into debt always seems to be quicker than getting back out of it. No matter which type of debt relief you choose to use, understand that it will never be an overnight process. It can take years to reach debt freedom, so be patient.